Many of us want his or her car must be unique, the looks of car must be different and unique from neighbor’s or friend’s car , people spent million of dollar for making their car so special in the society .We have seen many examples like Gold plated cars, turbine superbikes (Y2k) on the roads , this is the human nature and we knew it. Now many automaker knew about this human nature and they made lot of money from launching of “Limited Editions”. This time INFINTI trying to impress that kind of people ,who need something unique and special by making of exclusive Q60 Limited Edition just Fifty for the earth in $63,000 only. 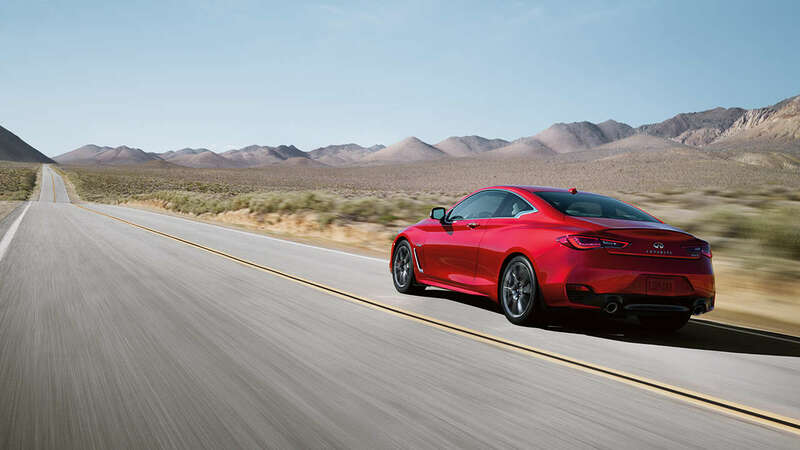 Celebrating its 90th Edition this year, the Neiman Marcus Christmas book has always featured a Fantasy Gift, and this year the INFINITI Q60 Neiman Marcus Limited Edition gets the honor. With just fifty available, demand will be high. Fantasy Gift vehicles typically sell out in hours, sometimes in just minutes. 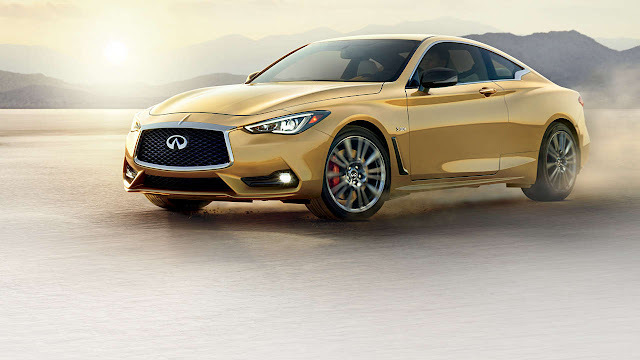 The 400-hp INFINITI Q60 Neiman Marcus Limited Edition will be available for sale beginning Wednesday, November 2, 2016. 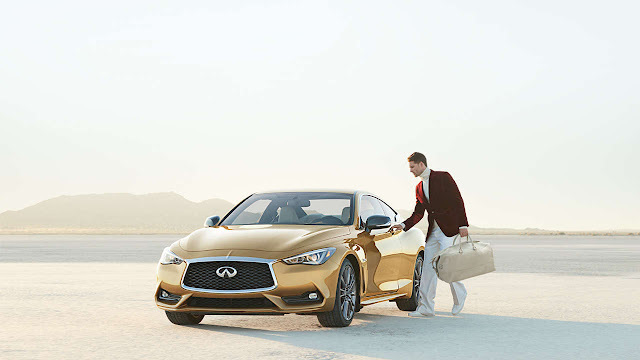 It can only be reserved by calling INFINITI at 1-844-367-6971 promptly at 12pm EDT. This year, INFINITI has collaborated with the venerable luxury brand to design a most striking—and exceedingly rare—gift for the person in your life who is really going places. Precision-crafted and lightweight, carbon fiber mirror housings, rear spoiler, side vent caps and fog lamp surrounds provide a striking contrast to Solar Mica exterior paint. Only in stunning Solar Mica paint matched with an equally eye-catching Gallery White semi-aniline leather-appointed interior with brushed aluminum trim. The INFINITI Q60 Neiman Marcus Limited Edition comes with a custom AUTODROMO weekender bag that matches the vehicle’s leather interior, completed by a personalized plaque in a special compartment that features the car’s VIN number. Furthermore the All –New 2017 Q60, starting at $38,950 comes with 7 speed automatic AWD which produces 400 horsepower @ 6400rpm and torque 350 @1600 rpm. With the new V6 twin-turbo, torque builds quickly and power pours out like an endless flood. Acceleration is instant and feels limitless. Gasoline Direct Injection, water-cooled air charging, a turbo speed sensor and advance turbine blade design make for quicker response and a higher peak. It’s Not Just A Car, It’s An Experience . 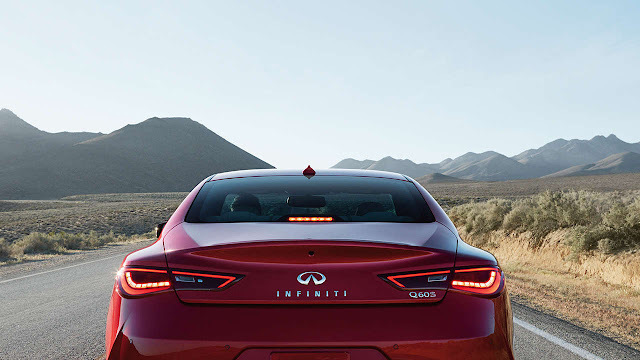 It’s a lot of power, and Infiniti has developed some cutting-edge technologies that let you harness all of it. Aggressive Eye-inspired LED headlights give a provocative stare that can be seen from both the front and side. The optional Adaptive Front lighting System (AFS) improves visibility at intersections and around curves by sensing your steering and turning the headlights. Together with LED auto-leveling headlights, AFS helps you see not just ahead, but around as well. From the rear view, it also looking gorgeous . 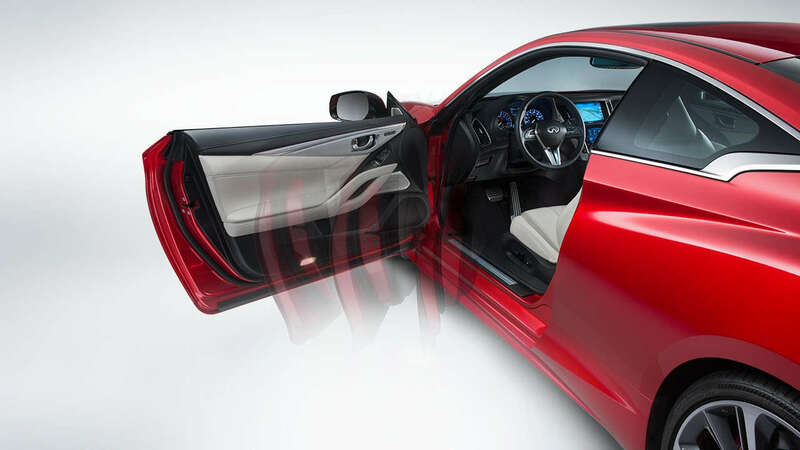 After many years of research and development, Q60’s optional Second-generation Direct Adaptive Steering is here to revolutionize how we drive. This system digitally and instantaneously transmits your steering input directly to the wheels, without a mechanical connection. Its digital processing power lets you steer quicker and smoother than you ever imagined. When you are driving on rough or uneven roads, the system is constantly, automatically making subtle adjustments to give you an increased feeling of stability, while decreasing feedback and vibration through the steering wheel. Your life is always moving, and the available Infiniti InTouch seamlessly brings your world into your car. Stay ahead and connected with text, your calendar, navigation and music. Infiniti InTouch makes your world flow. The optional Around View Monitor, delivers advanced yet intuitive technology, helping to make parking easier. Four cameras positioned around the vehicle give you a virtual 360° bird's eye view on your display. Infiniti has now enhanced the system with Moving Object Detection — alerting the driver to moving objects detected within the display image. Offering a new perspective of the world around you, your Infiniti helps you navigate even the tightest spaces.